Janssen is committed to helping patients obtain appropriate access to our medicines. We partner with private and public payers and healthcare systems to support availability of our products and we offer and support a variety of programs and services to assist with access to and appropriate use of new treatment options. Through Janssen CarePath, we offer resources and support for U.S. patients to start and stay on prescribed Janssen therapy. Our Janssen CarePath coordinators can assist patients with answering questions about insurance coverage for our products and help identify options that may help make Janssen products more affordable, if needed. 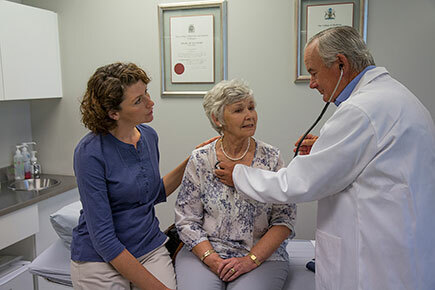 We also support healthcare providers by offering resources to support their patients. Terms and conditions apply. Please visit the website for more information. We also support independent programs and foundations that aim to assist patients in the U.S. The Johnson & Johnson Patient Assistance Foundation, Inc. (JJPAF) is a nonprofit organization that assists U.S. patients without adequate financial resources and prescription coverage in obtaining free products donated by the operating companies of Johnson & Johnson. JJPAF is an independent organization that reflects the long-standing commitment of the Johnson & Johnson operating companies to help patients access prescription medicines. Please visit the JJPAF website for more information regarding eligibility. This information is provided for informational purposes only and represents no statement, promise, or guarantee by Janssen concerning levels of reimbursement, payment, or charge. The Partnership for Prescription Assistance (PPA) helps qualifying U.S. patients without prescription drug coverage get the medicines they need for free or nearly free. PPA offers a single point of access to more than 475 public and private programs, including nearly 200 offered by pharmaceutical companies.